Featuring time-based art of: Anthony Antonellis, Johannes Ernst, Danielle Ezzo and Anton Marini, Emily Fuhrman, James Hicks, A. Bill Miller, Fanny Papay, Josh Rigling, Derrick Schultz, Andrea Wolf. The works selected for this screening are part of an online collection of commissioned art for the now defunct Electric Objects company. Over its four-year run, they commissioned 198 artists, generating over one thousand original works ofexceptional electronic art, effectively advancing the medium in the process. The works included in this program exist through movement compelled by computer systems, evolving frame by frame, in a slightly cinematic, yet non-narrative and sometimes non-objective way. Columbus-based artist Galen Tipton provides the soundscape for the program. 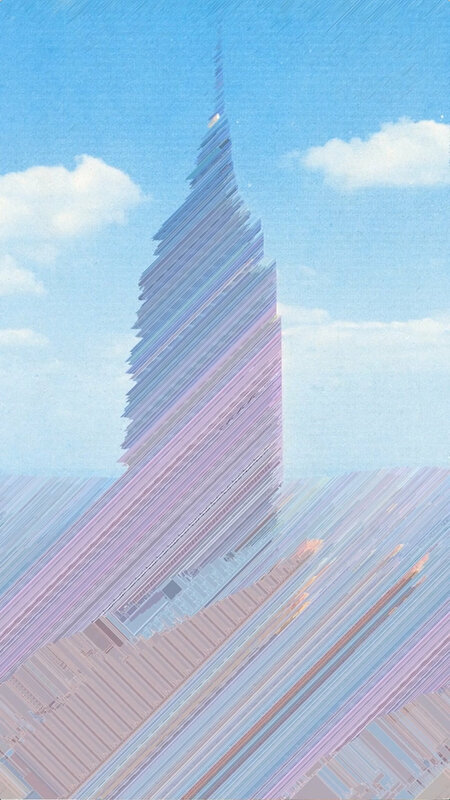 Galen’s electronically generated and blended melodies mix the texture of field recordings with minimal, alighted beats and synth, creating an exciting pairing of computer-generated sight and sound. Presented by Tess Cortes.